The only thing I was asked to verify was that my Kindle 2 was fully charged and rather than telling me to do it anyway and call back in 3 hours like some other companies did. They took my word for it and emailed me the RMA shipping label. Easy and simple. Now for the best part – Kindle warranty replacement uses one-day shipping and cross-shipment. This means that if your Kindle needs to be replaced – you’ll most likely get it within 24 hours and before you actually send the damaged unit back to them. Since I wasn’t expecting such fast turnaround (in the past I had to wait for weeks for my electronics to come back from warranty repair) and I had several long trips planned for the next week I actually ordered another Kindle 2 with one-day shipping so that I’ll not have to spend days in planes, trains and automobiles without my books. When I called the warranty I was told “no problem”. They refunded me the shipping charge and set up RMA as return for refund. Now does this rock or what? Hopefully other companies will use Amazon as example. 1) 2-Year Extended Warranty for Kindle 2 by ServiceNet. They extend the basic warranty to 2 years and cover 1 incident of drop related damage. 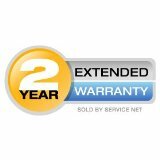 2) http://www.squaretrade.com/ offers 2 and 3 year extended warranty options for almost all electronics, including Kindle 2. For K2 I was quoted $49 for 3-year extended warranty. Please let me know if had any experience with either of these warranties. This entry was posted in Amazon, Kindle 2, Kindle Problems, Kindle Reader and tagged extended warranty, ServiceNet, SquareTrade.com, warranty by Dzmitry. Bookmark the permalink. What failed on your Kindle? Likewise, I’m curious what failed on your Kindle. I purchased a Kindle 2 (actually..the wife did as a late Christmas present) and it also had a defect so I returned it. My experience with returning it was identical to yours and I can’t say enough about Amazon’s excellent service. Got the new one next day air (unfortunately I called on a Friday and received on Monday, but no biggie). My Kindle 2 had a ‘funky’ power switch. Sliding it to the right and releasing it would 80% of the time see it not return to the left but stick in the middle. A gentle nudge would cause it to return. The assembly was a bit ‘off’ as well with one of the buttons recessed slightly more than the rest. I was more concerned with the power switch eventually failing so I returned it for that reason. I’m glad to report that the new Kindle does not have that problem…well, not yet anyway. The other was immediately noticeable. Thanks for the info re: the extended warranties. I’m giving that some serious thought since I really can’t live without my Kindle now. I accidentally damaged the display on my Kindle 2 this past Friday, in the morning. It was completely my own fault. I called up Amazon, explained the situation, and within 5 minutes they had processed the issue, begun procedures for next-day-air shipment of a new Kindle, and sent me a link to print out a UPS label for the damaged unit, which I just tossed into the new box they sent me, taped it all up, and sent it on its merry way. I cannot speak the praises of Amazon enough with regards to this. I was stunned at how quickly it all happened. If you go with squaretrade, try these coupons and see if any of them work. Oh, and if you pay for your purchase with credit cards, most do come with free extended one-year warranty. You get this as part of the benefits of your card and there is no registration or anything like that with the credit card company. Personal experience making extended warranty claim with both AMEX and Mastercard is AMEX rocks. AMEX has a much smoother and friendly claim process. Wow – This is a great review. You never know about warranties especially with companies that have new products. i agree… i had the same experience, top notch support. my screen had died. worked fine in the morning, and then simply would not work in the evening. showed only a few vertical lines. the device was fine otherwise… i could connect via usb, saved books, etc. not a scratch on it, and i had it wrapped up in a case all day… so it must have been a faulty screen or connection. the phone tech was great, asked a few questions, and placed a replacement order(one day shipping) while i was in the middle of explaining the issue. they didn’t follow the standard script except for one or two questions, and actually listened when i explained what i was experiencing. Unfortunately my warranty experience was not good. My screen broke when my cat knocked the Kindle2 off a desk onto a carpeted floor. When I called Kindle Warranty I was told it would cost $200 to replace because the ship date was older than 30 days. The ship date was 03/01/09 and I called 04/04/09. I understand Amazon cannot warranty the Kindle2 forever. This problem may not be a manufacturing defect but it is not good design either. In the previous 30 days I probably sold 4-5 Kindles by positive personal recommendations to strangers on the bus and on my vacation. Now I will have to tell them about the fragile nature of the device and the (legitimate) but strict warranty. The Kindle 2 is great when it works but I cannot recommend such a fragile device. The credit card company you used to purchase the Kindle often includes an extended warranty for the same period as the original warranty. Also AmEx, the one I used, covers 90 days of accidental damage and theft. Note that the Amazon extended one only covers one accidental damage in 2 years, does not cover theft; Square Trade has a $50 deductible for each damage claim. I had good service with the warranty coverage also. However, there is a difference in the warranty information on the quick start guide and the on-line version. I also damaged my screen and was given immediate and quick service to return it with another on its way the same day. However, the replacement is NOT NEW, but refurbished. To me that’s a ripoff. If I am returning a NEW Kindle 2 within 30 days, it should be replaced with a NEW one, not a refurbished one. Also, they determined it was my fault, even though I don’t believe it was, so the “new” one cost me $200 which includes a “discount” price off a new one. For that much money, I should get a new one. I had horrible service with my Kindle 2 (still under warranty). Amazon has agreed to replace my Kindle, which has screen issues, but feels that a refurbished Kindle is an acceptable replacement. NOT acceptable as far as I’m concerned and will be enough to get me to say goodbye to the Kindle! I just went to look into a Kindle warranty from Square Trade but it appears they don’t offer them anymore. If you choose eReader, all the other boxes (to enter price and condition of item) beceom grayed out. Broke my screen also. Calling today. Minor pressure in just the right place and it broke. I think it would be in Amazon’s best interest to repair it for free or for a fee less than origianl price. If I don’t get a replacement or buy a new kindle they will loose at least twice the cost over 2 years, because I won’t be buying there books.